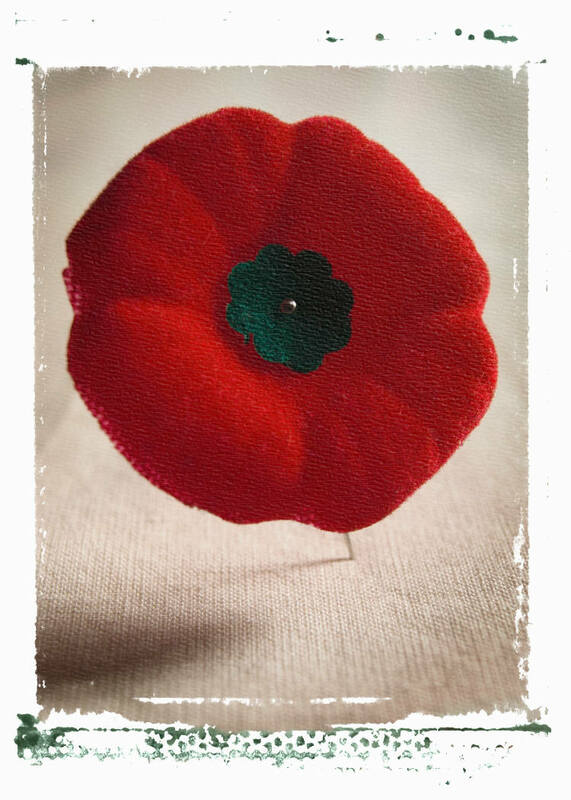 Every year, for weeks in the month of November, I wear a poppy on my left side near to my heart. I do this in honour of those whose lives were taken in the trenches of war. As a child in school, I participated in Remembrance Day services and did my very best not to squirm, wiggle or scratch during the long two minutes of silence. I had no inkling then, of what I should be thinking about — I did not know what war was, not really — but I did know that it was important to remember the soldiers who had died in wars, fighting for our freedom. Now that I know more about the tragedy and horror of war, I believe that it is important to remember those soldiers’ sacrifices — not to glorify war, but to work towards establishing a world where we all live in peace. I found this poem by Siegfried Sassoon, a decorated soldier and one of the leading poets of World War I. Sassoon was awarded the Military Cross for bravery on the Western Front, for displaying outstanding gallantry while rescuing wounded and retrieving dead comrades while under enemy fire. Sassoon, who had enlisted to fight in the war because of a sense of patriotism, later developed strong anti-war feelings and this is reflected in his “war” poetry. When I was searching for a poem for this post, I came across a quote that really expressed my hope for the world, one that, if fulfilled, would be a fitting tribute to ALL the men and women who died fighting for what they believed in.